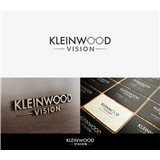 Kleinwood Vision (Spring) - Book Appointment Online! They did a great job! Stephanie was very knowledgeable and friendly. I'm trilled over the great deals she found for my children that fit within our budget. Thank you!